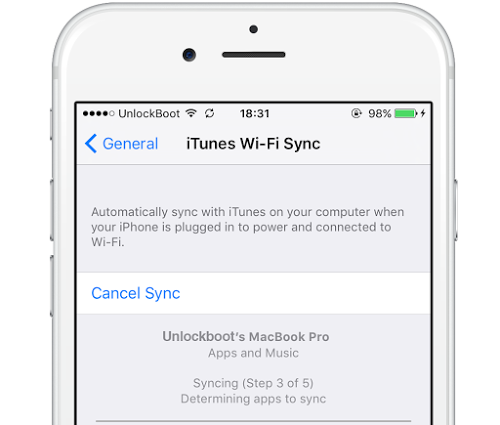 Before starting: here’s what you should ensure: the iOS WiFi sync ability should be enabled. The underlying reason why iTunes WiFi sync not working error appears is that it wasn’t set up properly from the beginning. While it needs to be done one time, it should be enabled for every iDevice, implying it should be activated via iTunes for iPhone, iPad etc. separately. The solution is there to end the Apple Mobile Device Helper steps, both in Windows and OS X. To summon task managers, press Control+Alt+Delete and select the “services” tab. Find “Apple Mobile Device” or “AppleMobileDeviceHelper.exe” (Windows version dependent). 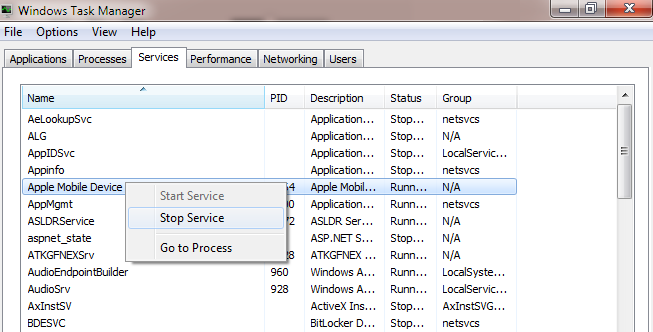 Restart the service via right click, or choose it an select “end process”. Open iTunes again, search for the iDevice via WiFi. The process should be restarted by ending it or manually, and the Apple Mobile Device service shouldn’t be disabled completely or else the iDevice never pops up. But regardless which OS you use, restarting iTunes should cause the iDevice to appear in the sidebar in the Devices list, or the titlebar if the sidebar is invisible. It’s cool when the device is visible again. Also, if the AppleMobileDeviceHelper is not running when iTunes isn’t activated, it is normal. And kill the process if it’s still running after you quit iTunes. Search “AppleMobileDeviceHelper” from the search box at the top right. Select desired process and click the “Quit Process” red button. Close Activity Monitor and reopen iTunes. Confirm the killing of the process. 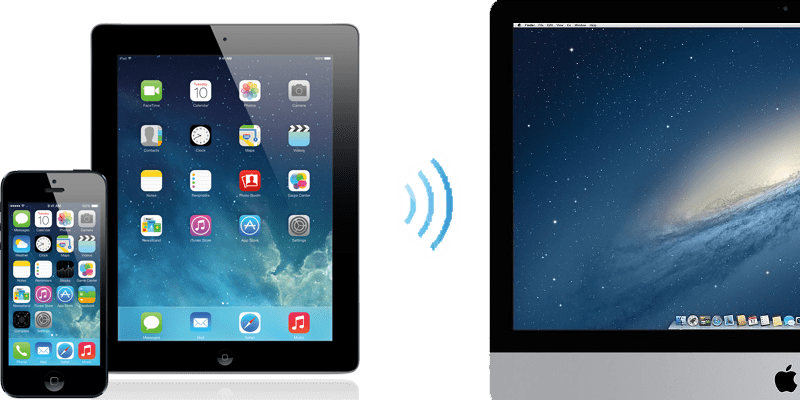 Is Your iOS Device Still Not Visible Wirelessly in iTunes? Check again if you’ve configured and activated WiFi sync by connecting the iDevice to iTunes and activating WiFi Sync from the “Summary” tab and tick marking the box beside “Sync with this iPhone over WiFi” – if it was checked then uncheck it and check again. Launch Settings and tap “WiFi”. Turn WiFi off and wait 10 seconds. 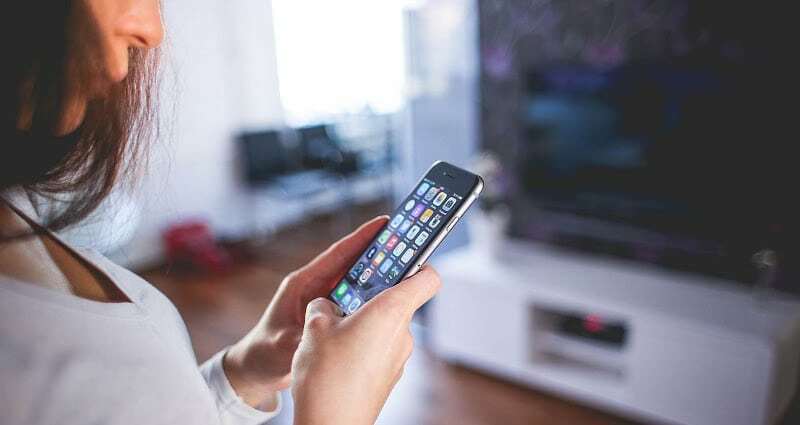 Ensure the PC with iTunes and the iDevice are connected via the same wireless router, and no conflicts exist in case of IP. If there is a conflict, try manual DHCP and create a static IP far out of the range of conflict. Force a manual sync from the iDevice. Go to Settings -> General -> iTunes WiFi sync and Sync Now. Turn off “Use Cellular Data for iTunes” by going to Settings -> General -> Cellular -> iTunes -> OFF. In most cases, you can fix the problem by killing the Apple Mobile Device process, relaunch iTunes, and toggling WiFi on and off again. Next articleIs Your Apple Watch Slow? Know Why and How To Speed It Up!